Switch the order of the numbers; does this change the top number? Add 1 to A; how does this change the top number? Add 1 to B; how does this change the top number? What if all four cells in the bottom row are even? odd? contain the same number? 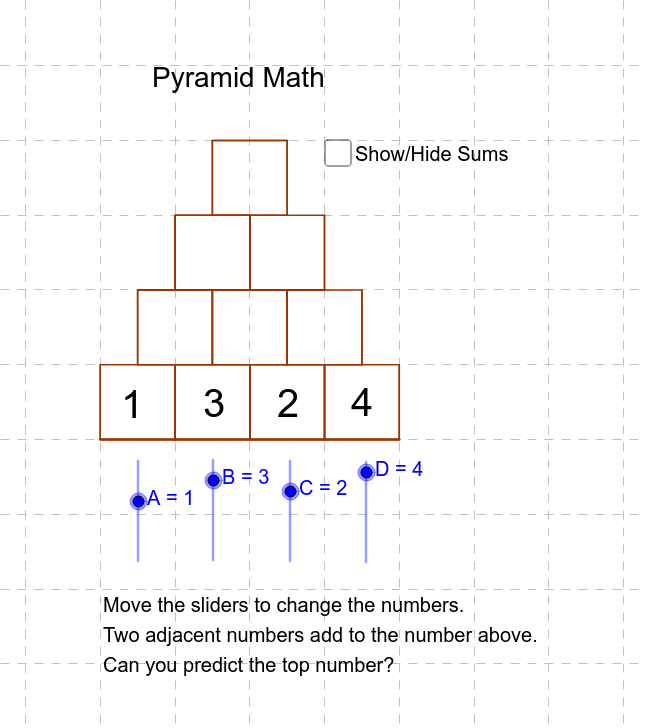 What can you predict for a pyramid with five rows?